What makes a bed? When we think of a bed, we think of the bed frame and the mattress. One bed component that you may not have noticed is the box-spring. If you check other beds, you may find this extra layer between the bed frame and the mattress. It may not be obvious because it would normally be covered with a sheet similar to that of the mattress. A box-spring is a kind of base used to house the bed. Usually, it is made up of a wooden frame containing springs, and the whole thing is covered in fabric. It is normally placed on top of the metal or wooden floor of the bedframe, and it should have the same size as the mattress. The mattress sits on top of the box-spring. If you have a box-spring, you have an option no to use a bed frame. Since the box-spring is sturdy, sometimes it is put directly on top of the bed legs. What do people use box-springs for? There are a couple of reasons why people use box-springs. 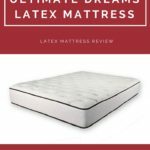 One, it can absorb shock when you lie down on the mattress; it minimizes the wear and tear of the mattress as it is a firm and flat structure where the mattress can sit upon. And two, the box-frame adds to the height of the mattress. If your bedframe is low and your mattress is lacking height-wise, you may find the box-frame useful since it will be easier for you to get in or out of the bed. Wood box-springs are popular in Canada, the United States, and Australia. 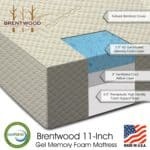 Wood provides excellent support to new types of mattresses, such as latex and memory foam mattresses. Manufacturers also offer box-springs with different heights because of the varying heights of the mattresses. Low-profile box-springs are about 5 inches in height, while high-profile box springs are up to 9 inches in height. 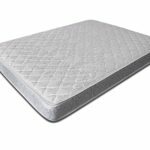 These differences are mainly for aesthetic purposes; they provide similar support to mattresses. 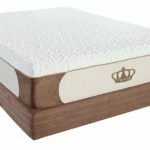 Are box-springs required for mattress warranty? Many mattress manufacturers require box-springs if they are to provide warranty to the mattresses they sell. 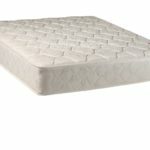 A mattress will sag prematurely and will have a shorter lifespan if it is placed on top of an unsupportive or an uneven surface. Before manufacturers can replace your mattress, they will check if your mattress was supported by a flat, hard surface during the times that you have used it. There are mattresses that work perfectly with adjustable bases and platform beds, and these can be alternatives to box-springs. In other countries like Japan, they place a futon mattress on the floor or on the bedframe as another alternative to box-springs. Check the warranty conditions of your new mattress if a box-spring is required. If it is not required or you think that you will not be interested in claiming the warranty, and you’re fine with not adding extra height to your mattress, then not using a box-spring should be fine. If you would like to claim the warranty in the future in case your mattress sags, then make sure that your new mattress is supported by a box-spring, or a platform bed, or a compatible base that is adjustable. It doesn’t matter if the box-spring is new or not. If the old one that you have is structurally sound and has no defects, the manufacturers of your new mattress should still be able to allow you to claim warranty. If you’re not sure what adjustable bases and platform beds are, all you need to know is that they are the modern replacements to box-springs. Platform beds have a flat and hard surface, mostly made of wood, and are designed to support your mattress effectively. A platform bed looks sleek and modern, and one other advantage that a platform bed can offer is the storage underneath it. 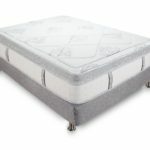 An adjustable base also provides wonderful support for your mattress. Aside from its solid mattress support, it offers a different functionality to the bed. With an adjustable base, you will be able to adjust the foot angle of your bed, as well as have massage and head to bed functions, among others. Both the compatible adjustable base and the platform bed will be recognized by the mattress manufacturer as a replacement for a box-spring in case you will claim warranty. What’s not recommended however is using an old mattress to replace a box-spring. If you think you don’t need to use a box-spring, what are the other things you can do to protect your mattress? By rotating your mattress from head to toe, the surface wear and tear of the mattress will be even. It will take a longer time for your form to make an impression in the spot where you normally lie down. You may want to do this once a month for the first three months, and then once every three or four months afterwards. This should be fine for new mattresses, but may not be recommended for old ones that need to be replaced. A mattress protector should be able to keep your mattress dry and safe from sagging agents, such as bodily fluids (e.g. perspiration, tears, etc. ), spilled food and drink, oils, and room humidity. Although a cheap mattress protector can do the trick, you may find that a more expensive one feels better when you lie on your bed. 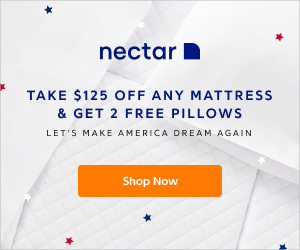 Check mattress stores to see what options they have for you. Avoid damaging your mattress by bending it or cramming it in tight spaces. A lot of cheaper mattresses are not meant to be bent or folded. If you do, you could damage the coils and the wires inside the mattress. Some of the more expensive brands could be bent, however. You could notice a mattress compressed inside a box that seems too small to contain it. Furthermore, if you could keep your kids from jumping on the bed, that would be good for the mattress.